Some of the buttons on the wiki page have shortcut keys. These may or may not work in your browser! 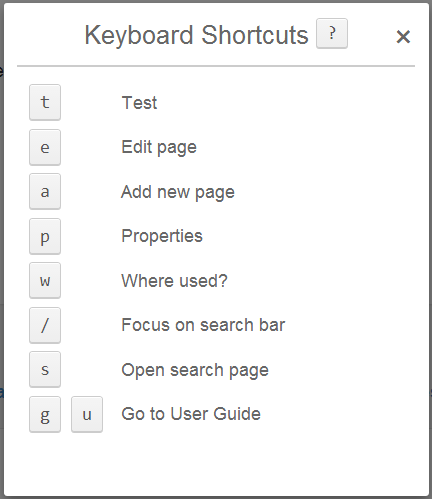 Due to the above shortcut keys not working on most browsers a set of more modern shortcut keys have been provided. Pressing ? on any normal wiki page (not the edit page, etc.) will bring up a modal dialog showing the standard set of shortcut keys.